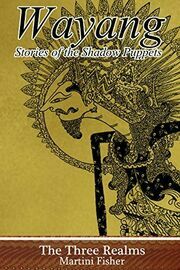 The Three Realms is the first book of the series "Wayang: Stories from the Shadow Puppets". 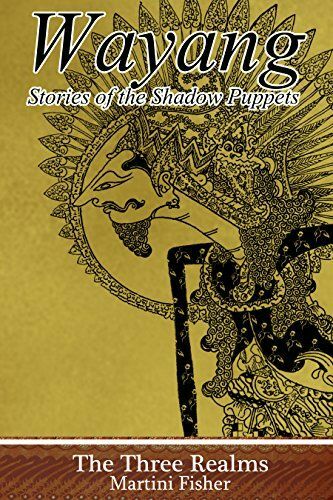 It is a story of the creation of the demigods and their heavens according to the Javanese culture, so recognized and beloved that they are accepted to the hearts of the Javanese people especially through wayang ("Shadow Puppets") performances.In an attempt to immortalize these stories that have been passed down through generations, Martini Fisher undertakes to delve deep into the heart of the Javanese culture through the wayang performances and rewrite these Ancient stories for a global audience.The story begins with Syed Anwar who start the making of the pantheon of the Javanese deities. The story then follows the rule of Sang Hyang Manikmaya and his cursed brothers as they navigate through their various disguises and incarnations.